It is my great honour to be able to contribute to this inaugural edition of the ICAO EUR/NAT Regional Office Newsletter. My congratulations go out to Regional Director, Mr. Luis Fonseca de Almeida and his team for realizing this new and useful outreach tool for the EUR/ NAT civil aviation communities, and it is ICAO’s hope that in due course it will help you to celebrate one another’s accomplishments and cooperate even more effectively on your extensive Regional goals. The international aviation community has been very actively engaged on a number of important priorities of late, with notable progress continuing to be made in such areas as flight tracking procedures post MH-370, the safe integration of remotely piloted and suborbital operations, and the role to be played by modernized infrastructure in our shared efforts to enhance airspace capacity and general operational efficiency. Regrettably of late, increased terrorism in your Region has also led to a review and prioritization of landside security provisions, a topic which poses complex questions on how civilian and aviation security measures and responses should be aligned and enhanced. Cybersecurity preparedness also comes to mind in the security domain, as does the role for ICAO in helping States to determine a practical balance between how we restrict electronic devices in the cabin, and how we ensure the continued safe carriage of stowed lithium batteries. Aviation’s role in addressing the challenges of climate change have also seen tremendous new developments of late, including the landmark consensus ICAO has achieved on the Carbon Offsetting and Reduction Scheme for International Aviation. EUR/NAT States have been instrumental in the progress towards the new aircraft CO2 emissions certification standard. (CORSIA), and the new aircraft CO 2 emissions certification standard. EUR/NAT States have been instrumental to this progress, and we’ll look forward to more support on the technical aspects to be addressed before CORSIA’s pilot phase kicks off in 2021. 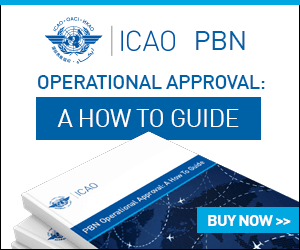 At the 39th Assembly last year, the revised Editions of the ICAO Global Air Navigation Plan (GANP) and Global Aviation Safety Plan (GASP) were fully endorsed. The GASP amendments will mainly result in greater prioritization on safety management system (SMS) implementation for operators, but it also includes safety performance indicators for your State Safety Programmes (SSPs), as well as a more defined course for us to follow toward predictive risk management. The new GANP meanwhile, includes a new Logical Architecture for Air Traffic Management, the ASBU Block 1 minimum path to global interoperability, and more detailed financial considerations linked to ASBU implementation. The tremendous success of these Global Plans, as well as recent security incidents, led the Assembly to endorse calls for the development of a newly envisaged Global Aviation Security Plan (GASeP), as was an extensive Resolution on cybersecurity preparedness. These activities have accordingly been fast-tracked and the first draft of the GASeP will be ready at the end of May. The 39th Assembly also called on ICAO to begin exploring the need for a new Global Air Transport Plan, while endorsing as well the finalization of ICAO’s international liberalization agreements and several other priorities. With respect to our shared objectives on aviation’s environmental performance, I am pleased that we continue to make progress with regards to aircraft noise, local air quality, air navigation efficiency, and on all elements in our basket of measures to reduce aviation emissions. I am also pleased of the Assembly’s recognition of ICAO’s continuing work on a new supersonic noise Standard for future aircraft, and our development of a new non-volatile Particulate Matter (nvPM) emissions Standard for all turbofan and turbojet aircraft. As you are by now most certainly aware, ICAO has made a firm commitment to assist States under our ‘No Country Left Behind’ initiative, and the ICAO Secretariat is now implementing tailored Technical Assistance and Cooperation Programmes in specific States as a result. Our Regional Offices are essential to this process, and in order to ensure a strengthened ICAO regional presence I added 15 new Regional Office posts globally in 2016, focused mainly on safety and security assistance for Member States. I have also assigned a regional affairs coordination function to the Strategic Planning, Coordination and Partnerships Office which ICAO has newly established. These efforts are already helping to optimize the synergies between our local Technical Assistance and Technical Cooperation efforts, and they have played a big part in how the role of our EUR/NAT Office has evolved of late to become more extensive and relevant. In recent years, as the global economy has struggled and States have faced more pressing economic challenges than in past decades, we’ve been asking ourselves what more we can do at ICAO to help governments mitigate these downturns and optimize aviation’s significant socio-economic benefits. It is our Organization’s strong conviction, in the era of ‘Sustainable Development Agenda 2030’ and the visionary UN Sustainable Development Goals adopted under it (UN SDGs), that the presence in States of safe, efficient, secure, economically viable and environmentally sound international air transport operations is more essential today than ever before. ICAO-compliant air transport spurs enhanced tourism, expanded market and trade access for local businesses, increased consumer choice, more rapid humanitarian response in times of crisis, and many other benefits which arise due to increased local job creation and a more robust tax base. These increases in connectivity subsequently spur additional aviation re-investment, creating a sustainable and very dynamic cycle of civil aviation and national development, and we should also take note that the 39th Assembly has now approved a Resolution which calls for States’ participation in the SDGs. Aviation can bring tremendous added benefits to the EUR and NAT Regions in the coming years. Above all this requires investments in aviation development in terms of modernized airport facilities and air navigation services, in order to ensure that future growth is managed safely, securely and efficiently, and similar commitments for your safety and security oversight functions are also essential. ICAO and its EUR/NAT Regional Office look forward to working with you toward all of these objectives, and toward our more peaceful and prosperous future. I greatly look forward to that journey. Dr. Fang Liu is the Secretary General of the International Civil Aviation Organization. This article was originally written for the ICAO EUR/NAT Office’s Newsletter (Issue 1) on May 2017. A full list of their newsletters can be found here.